Our robust software suite provides our clients with the resources needed for process management and coordination of marketing, social media, social selling, digital monitoring and community investment tracking. Our tools bring your marketing, compliance and sales teams together and take a unified approach in connecting with and growing your communities. Our partners love working with us because we make social media and digital marketing easier. Compliantly manage your social pages through features like custom roles, mentions monitoring and reporting. Our binder feature allows for workflow management of all your marketing materials from print to digital campaigns. You can also track, store and report all items added to the marketing binder. 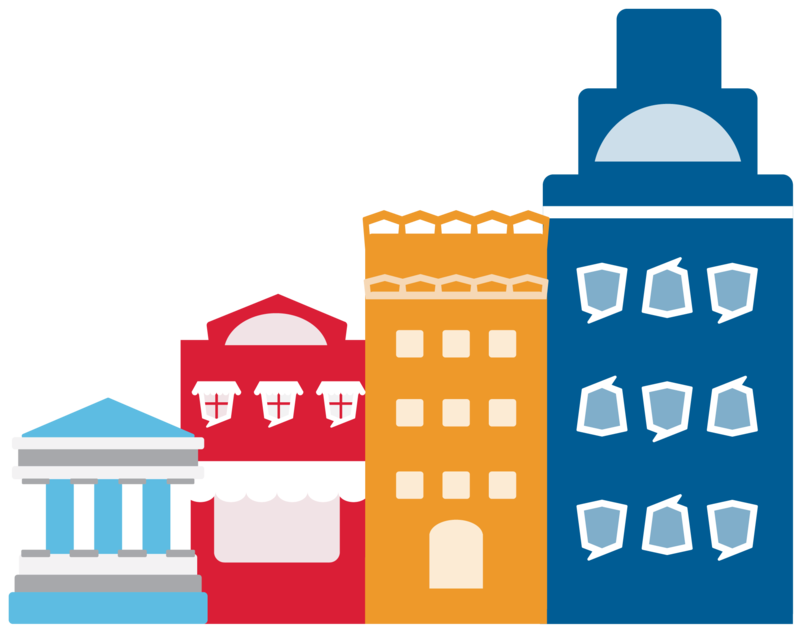 Financial organizations are a pillar of every community, helping to build their communities through volunteerism, donations, investments and loans. 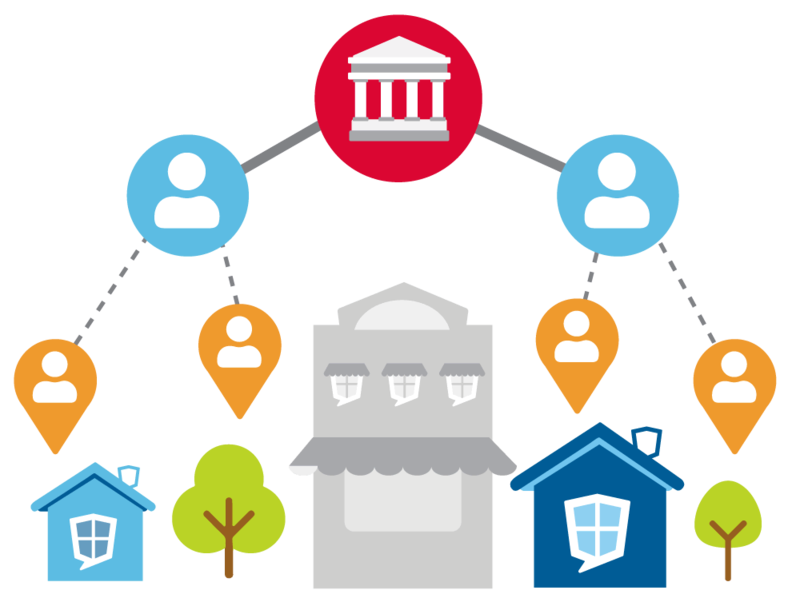 Our Community Management platform provides financial brands with tools needed to coordinate, track and report on their community support activities. While this is built with CRA in mind, many organizations go beyond this to manage and show all of their community investment activities. Give your sales team the support, tools and structure they need to build their pipeline using social media. 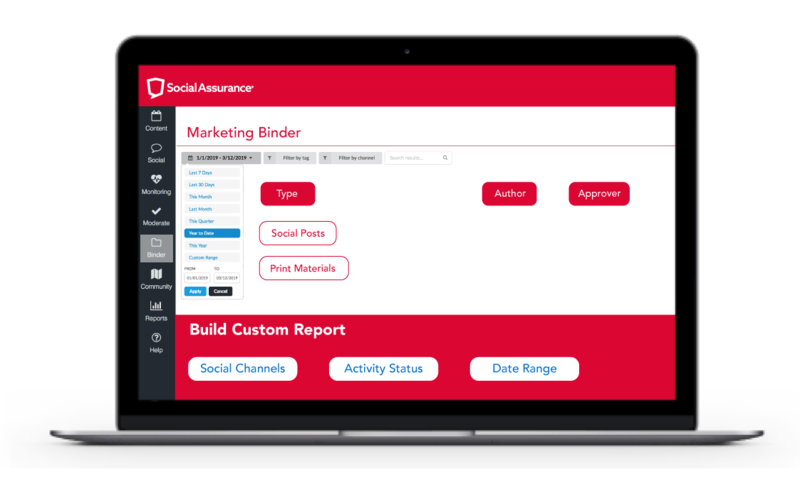 Connect individual professional profiles to the Social Assurance platform to support your team members with social content management and engagement tools — all while ensuring compliance. Do you want to learn more about our software or do you have a question about its features? Fill out the form below and a member of our team will be in touch.